The best pest controls are the safest. Here's how to stop bugs without harmful chemicals. Planet Natural has been offering safe, effective natural pest controls since 1991. Our goal has always been to suggest proven techniques and supply products that work while having the least impact on the environment as possible. Natural means of controlling pests can be as effective as the harmful chemicals that contaminate our landscapes, sometimes more so. And they help protect our family, our pets, our communities and the world at large. Our mission is to provide you with effective, practical solutions for common household and garden pests, starting with the simplest, least toxic measures and moving to more aggressive, intensive action as needed. From barriers and traps to minimally-processed products derived from natural compounds and plant oils, Planet Natural only carries the best. 100% Satisfaction Guaranteed. Apply Tanglefoot Pest Barrier to pipes and entryways to keep crawling pests out. Boric acid and Orange Guard will get rid of ants without using harsh chemicals. Determine if bed bugs are present with a First Response Trap. If present, wash bed linens and steam clean mattresses. Apply EcoSmart Bed Bug Killer to kill bed bugs and their eggs — fast! Clean fabrics prior to storing and keep in sealed containers. Clothes Moth Alert uses a powerful lure to monitor and trap these destructive pests. Apply organic diatomaceous earth lightly to carpet and fabric items, or wherever pests are found. Use glue traps to detect pest populations and hiding areas. Apply least-toxic boric acid and diatomaceous earth to areas where pests are found. Made from Chrysanthemum flowers, Don’t Bug Me kills pests on contact. Vacuum areas frequented by pets and apply Flea & Tick Killer to pet bedding. The Ultimate Flea Trap will eliminate indoor flea problems without toxic chemicals. Protect pets with our Herbal Flea Collars — effective for up to 3 months! Use indoor fly traps and Flying Insect Killer to safely manage pests inside your home. 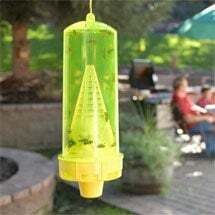 The Big Stinky Fly Trap will capture outdoor flies by the thousands. Scatter fly parasites outdoors. They will attack and kill the immature pupal stage. Use natural insect repellents whenever possible. 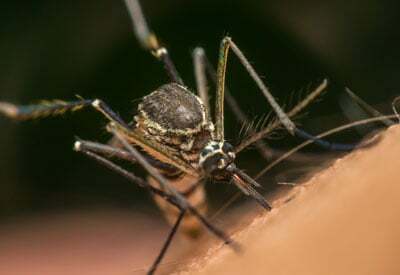 Add Mosquito Dunks to stagnant water to kill larvae before they can bite. Reduce the number of adults with our Organic Mosquito Fogger or spray Mosquito & Tick Killer around landscaped areas. Use the Pantry Pest Trap to monitor and trap meal moths, grain moths and more. Release trichogramma wasps to attack and destroy the eggs. Bt kurstaki or Monterey Garden Insect Spray will kill the immature larvae. Treat cracks and crevices with plant-derived botanical insecticides. If handpicking is inconvenient, try slug traps or scatter Sluggo Bait around gardens. Slug Off and diatomaceous earth are popular barriers used to keep pests off plants. Place insect traps in rooms to capture a large number of crawling insects. If pest populations become intolerable, apply diatomaceous earth and/or EcoSmart Spider Blaster to cracks, crevices and other hiding places. When pests are least active spray Wasp & Hornet Killer into the nest opening. If you can’t find the nest, hang reusable or disposable traps prior to outdoor activities. Everybody likes cucumbers, right? Not ants. Cucumber peelings — the more bitter the better — make for an effective ant deterrent. Spreading cucumber peels where ants might enter your home will send them scurrying. Big bonus: cucumber peelings present none of the dangers of the chemical pesticide you otherwise might have purchased at the big-box store or commercial nursery supply, the kind that contain known toxins, heavy metals and other inert ingredients. It’s no small point: the evidence continues to grow that synthetic pesticides pose a significant health risk to humans and animals. And still these chemical-laden products are widely used without regard to the dangers. That doesn’t have to be true at your house. Home pest control methods should be safe as well as effective. A good strategy, like the Integrated Pest Management program you might use in your garden, is one that’s safe for your family. But controlling insects indoors requires more than just knowledge of natural remedies, like cucumber peels, and their application. It means buying and using products made of non-synthetic ingredients including natural oils, naturally occurring compounds and other non-toxic ingredients to get rid of bugs. It also requires a certain amount of vigilance. Keep an eye out for problems and don’t ignore conditions that could attract pests. Consider your family’s well-being with every step you take. Buy products that can be trusted, products that not only claim to be natural and safe but are natural and safe. 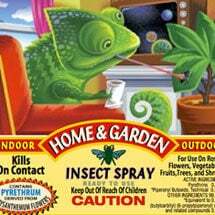 Buying “natural” insect control at the hardware or big-box store can be a gamble, even when you check labels carefully. Those willing to invest some time and effort at crafting their own remedies will find our comprehensive lists (below) especially valuable. Insect barriers, like the cucumber peels mentioned above, act like barbed wire to keep ants and other crawling insect pests out. Garlic, a natural insecticide for everything from mosquitoes to Colorado potato beetles, makes an effective barrier for your home. Grind it up with water and apply where ever insects might enter. Garlic-based products, safe to use in kitchens as well as in the vegetable garden, are more concentrated than home preparations, yet over time carry a less detectable odor. Other natural barriers include cayenne pepper, cinnamon, powdered charcoal, bone meal, talcum powder or chalk. Different pests have different aversions, so you’ll have to see what substance works best with the creatures you’re trying to prevent from sneaking into your home. Certain plants, grown around the periphery of your home, can also serve as barriers. They not only look nice, but will also deter pests. Plants known to repel ants and aphids include spearmint, peppermint and pennyroyal. Barriers for fly control: Plant mint and basil around doorways and under windows. These plants repel flies even as they add sweet scents that we human enjoy. If you find cracks or other entries into your home being used by ants, douse them with boiling water. If you discover where they are creeping into your house, squeeze some lemon into the hole or crack. 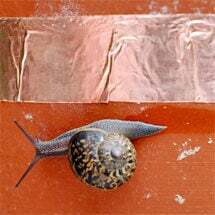 Barriers also work for snails. Sand, lime, copper or ashes deter their movement. so use these borders to keep snails away from sidewalks and entries. Specialized products, some certified for organic use, are available for keeping out deer and rabbits, rodents, even the neighborhood cat. Those expensive, dangerous and heavily marketed pesticides aren’t only harmful to all living things, they’re not always effective over the long term. 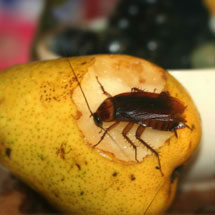 Here are simple natural solutions to pest problems that use items you may well already have around the house. Baking soda and powdered sugar mixed in equal parts is a good roach killer. Just spread around the area where you see roaches and wait for them to disappear. In amounts less than a teaspoon, Boric Acid is about as toxic to humans us as table salt (Boric acid should NEVER be consumed). But it’s an effective killer of roaches and other insects that groom themselves and ingest the acid. (It does not work on sucking insects or most larvae.). Cloves smell better than moth balls and are a natural deterrent against winged pests. You can also create a water trap by filling a small basin with water and leaving a night light suspended over it. Moths will be attracted to the light and will end up crashing and burning and falling into the water. Add a little dish soap to break the surface tension of the water. Corn Gluten Meal may not sound very appetizing, but it’s a natural, preemptive strike against weeds. Apply it early in the spring before weeds sprout. Corn gluten meal is a byproduct of the corn milling process and is a natural fertilizer. Diatomaceous earth is made up of the fossilized remains of diatoms, single-cell organisms. The glass-like nature of diatomaceous earth makes it one of the oldest forms of insecticide. The sharp surfaces cut through the insect cuticle and the insect dies of dehydration. Diatomaceous earth kills earwigs, ants and box elder bugs. Since it’s non-discriminate when it kills, be sure to only apply it just to the ground surface where you think insects are overstaying their welcome. Grind rosemary leaves into a fine dust and sprinkle it onto your pet or its bedding to ward off fleas. Ivory liquid dishwashing detergent can act as a natural insecticide. Dilute with water until it is a 1 or 2 percent solution and then spray on plants. Neem oil, a vegetable oil made from seeds of India’s neem tree, prevents fungus growth, and repels and kills insects including spider mites. While it fights many scourges, it’s nontoxic to birds, mammals and most beneficial insects. One word of caution — it can sometime affect bees so use it as a spot treatment time for evenings to minimize contact. Neem oil is usually sold in a concentrated form, to which you add water. A natural fly catcher related to wine is to put something sickly sweet like mango peels in the bottom of narrow-necked wine bottles. The flies can fly in, but can’t fly out. You can even make your own fly paper. Boil water, sugar and corn syrup together. Spread the extra-sticky mixture on brown paper grocery bags and voila you have your own fly paper which will trap the pesky, germ-carrying buzzers. For mosquito control the aged old custom of burning citronella candles will help repel the pesky critters. To get rid of slugs and snails, invert a flower pot near a shady plant. Use a stick to prop up the flower pot or place on irregular ground — whatever will give enough of an entrance way for slugs and snails. They will crawl under the rim to avoid the heat. Check the flower pot at the end of the day and remove the slugs and snails. Vinegar is a great herbicide. Fill a spray bottle with vinegar — white is best since it won’t stain, you certainly don’t want to use expensive, aged Balsamic vinegar on weeds — and spray the vinegar on your unwelcome flora on your porch, patio or back yard. It’s one of the few things that will work against noxious weeds such as Canadian Thistle. All vinegars are diluted, so try and buy the highest concentration you can at the supermarket (see Horticultural Vinegar). Using organic lawn fertilizers will not only keep your yard green, it will make it healthy and more equipped to defend itself against weeds and lawn pests. Organic fertilizers, such as bat guano, grass clippings, alfalfa meal, fish emulsion and worm castings, nourish your soil and your grass. While organic products are a step up from most big-box sprays, you should still use caution when using them. Don’t just leap at something that cures the symptom — look for the underlying or root cause and seek a solution for that problem. Overuse can end up creating new problems — getting rid of one pest in exchange for another. That said, natural pest control can be a great non-toxic solution to keeping your garden and home pest free. These easy to use deterrents protect your yard and gardens without harming a thing! We offer safe and sane solutions for indoor creepy crawlies. Yes, they work! 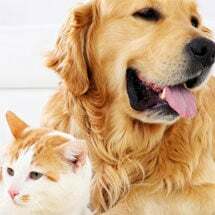 Get rid of of annoying fleas and ticks once and for all without harmful poisons. Derived from plants, botanical insecticides provide a quick “knock down” when needed. Use wet coffee grounds as a diversion for roly-poly/pill bugs. They flock to it and stay there, away from the veggies, in a drugged-like state. Will coffee grinds attract other bugs? I have a bunch of fruit trees and squirrels feast on my fruit before they ripen. How do I stop them from eatin my apples, peaches, apricots? Just found this page this summer and saw your question…In case you didn’t get an answer to your question… I believe I have an answer! My father always hung aluminum pie tins all over our apple trees to discourage the birds from eating the apples. He hung them with string and they moved with the wind and shone brightly with the sun. It seemed to work. Hope this works for you too. Good luck. I am shocked that you are suggesting the grits remedy for fire ants…IT DOES NOT WORK….NEVER WORKED…NEVER WILL WORK. I wish this rumor would go away!!! I have used grits and it WORKED for me! Cornmeal destroys the fungus gardens the ants cultivate for food. It does not kill them, but they MUST move. Whole ground cornmeal will also work. With it spread over the whole yard, the ants have no choice but to move off of your property. Fire Ant Control …. take a shovel full of dirt/ants and place it on another bed. Take a shovel from that bed and put on another until you have covered all problem ant-beds. The ants will kill each other off. Sound crazy, maybe but it worked for me. We live outside the city and had fire ants everywhere … none now! Once again, head lice infestation has taken over my home. the friend who sprayed my house and combated them from the furniture and carpet has moved. I have emphysema and the spray must be odorless. Please help. I am fighting a loosing battle here and my grandkids keep bringing them. I love the grandkids but am not coping well at all with the lice. What is the recipe for this? Omg NO, do NOT chop off all their hair! My mother did this to me and blamed me for not keeping my hair clean enough when i got lice twice after playing basketball with a visiting team notorious for spreading lice to other schools (lice love clean hair). Put coconut oil in their hair and wash EVERYTHING. Sprinkle borax on carpets before a shopping trip or other outing and vacuum up when you get back. The coconut oil immobilizes the lice, regular soap will help drown them since they can float back to the top of the water. After washing hair put more coconut oil and leave it until next washing to prevent reinfestation (repeat 7-10 days). The amount of soap and multiple washings you will need to remove the coconut oil should also remove the nits, even if it doesn’t and nits are still present, when they hatch the coconut oil will trap them. Coconut oil has antibiotic and antifungal properties so you could apply coconut oil and leave in for 3 days before washing again and reapplying. This will give you plenty of time to clean house thoroughly without worrying about reinfestation. This method also kills the lice physically and works on treatment resistant lice which are becoming a growing problem. Parents and guardians, please don’t cut your children’s hair off. Having lice is bad enough due to the ignorant stigmatisation, having an outward physical sign of having lice will cause the other children to ostracise your kids, not to mention, especially for girls (who like their hair long), long hair is a part of their identity, don’t take that away from them, it’s cruel and unnecessary. Grits do get rid of Ants/Ants bed. I have used it for years and it absolutley works. The ants will take the grits back into the mound and other ants will eat the grits and it will expand their inside and kill them. Try it on a day when it is not raining (so the rain won’t wash the GRITS away), keep a close watch, in 2-3 days, the ant bed will be DRIED up. I sm speaking from experience. No, no, no, no. They may move, but they do not eat the grits. Ants cannot swallow solid food, they have a filter in their mouths that only allows liquid to pass. Cornmeal destroys the fungus gardens the ants cultivate for food. It does not kill them, but they MUST move. Will any of these home remedies hurt my honeybees? Most of these home remedies are non-toxic and short-lived in the environment and will not harm honeybees. With that said, care should always be taken when applying products for pest control. Always spot treat the problem areas — avoid blanket spraying. Rose – Grits are ground hominy or dried corn kernels of Native American origin. Mostly eaten at breakfast, or as a side dish, they are a popular food in the Southern portion of the United States. Polenta is very similar and may work just as well. To whoever thinks cucumber peel works i tried this 32 years ago and the ants crawled all over it and didn’t go away. Soon as warm weather hit, ants literally covered my front porch. I used an empty plastic water bottle and to hold the mixture. Poured a little out to attract the ants and left the bottle laying on its side to make it easy for the ants to crawling in. A few days later, I have only seen a few ants crawling around my porch! Natural pest control methods are really helpful. It causes less harm on human body. I found information here that I plan on putting to use. Thank you for sharing what you know, E Vinje. Well done. I was being heavily invaded by very small black ants getting into my kitchen. Nothing I did seemed to work until I found some heavily perfumed bar soap and drew a line across the trail of ants heading for my kitchen. They immediately went away and haven’t come back. The soap I used was Chandrika (bought in a natural foods store). It has oils of orange, lime, and cinnamon leaf in it. Cinnamon powder might have worked, but how do you apply it to a vertical wall? Cinnamon probably does stain surfaces, anyway. Chandrika does not. How do you get rid of gnats? I have used apple cider vinegar and dish soap as one remedy, cinnamon and turmeric as another. Yet, I still have them. Thanks for your help! Are they fruit flies or fungus gnats? Pests are ever unwanted in households and commercial premises. Pests will infest readily and if not controlled in enough time, will continue to wreck havoc reaching high level infestation which may be complex to eliminate completely such as bed bugs…. Bedbugs! These insects invade homes and wreak havoc wherever they will intentionally attack. Effective bed bug control may seem impossible when it comes to a high level stubborn infestation, but there must be light at the end of the tunnel to eliminate these small, pesky pests. Bed bugs are tricky bugs. When they get into a home or business, they can get into hard to reach locations, not just your beds. These insects can dwell in outlets, wall voids, electronics, behind baseboards and anywhere close to resting and sleeping human sites. They can also be deep inside upholstered furniture or under rugs unsparingly. The trick to beating these hitchhiking, tricky bugs is understanding their habits and habitats. Thank you for the article. The information provided is very relevant.